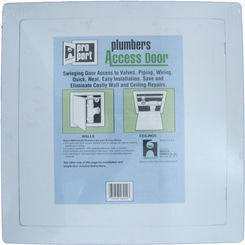 When you need to replace your access doors, PlumbersStock is a great place. They offer a great solution for concealed components you want hidden. 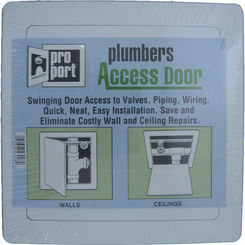 We literally have every kind of HVAC-related product, and that includes drywall access doors. From metal access doors by Shoemaker to a wide variety of parts and accessories to ensure proper installation and maintenance, we are certain to carry everything you need to get your HVAC system in top condition. If you are uncertain how to go about purchasing your drywall access doors, use the following as a guide. 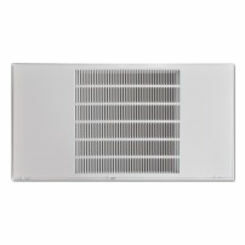 These HVAC accessories offer many uses but are most often used to provide slick, discreet entrances into service areas or concealed equipment—such as grill storage or AC repair areas. If necessary, you will want to consider a fire rated access door. Your doors should be easy to open and designed to take a beating, as the equipment it is covering is in areas of high risk. In other words, you want your access door to be strong and unnoticeable. Access panels, on the other hand, are very similar, though can be removable/flush with an adjoining service. These are used as access to slightly underused areas/equipment that you won’t need access to very often and should only be purchased if you are in need of true discreetness. Times Used: Will this metal access door be covering a heavily used/accessed area? 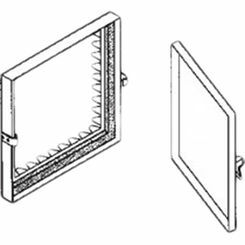 If so, you may want to look into the auto-shut or primed access doors, which close automatically after use. This will make sure you do not have to worry about forgetting to close the door, which is particularly useful when young kids or animals are around. If this is not a heavily accessed area, consider getting a grille or a panel. Location: Is it in a heat sensitive location? Will it take abuse on a daily basis? If so, look into fire rated doors and stay away from aluminum. 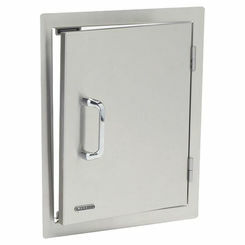 Stainless steel will probably be your best bet to guarantee the longevity of your fire rated access doors. Size: Make sure the wall access door you get provides ample workspace, particularly if it is covering an area in which you expect to be doing maintenance. A good example for needing this would be AC hatch doors. Though you (more than likely) will never need to move large equipment in and out of this space, you need to have breathing room so you can make the repairs you need, without being crowded. Regardless of what brand of stainless steel access door you end up choosing, make sure you use these factors as a guide. 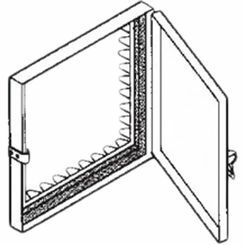 As we mentioned before, access panels are also a choice for concealing repair or crawl spaces, and many might be tempted to purchase these instead. 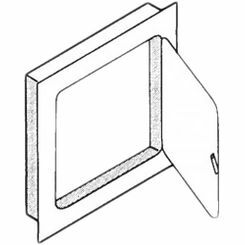 However, Access Panels are—for the most part—much smaller and less accessible than your typical HVAC access door. With that in mind, remember this; if you are planning on accessing the area which your panel or door will be concealing on a regular basis, we recommend purchasing doors. It will save you time, and it is very much worth the extra cost you will be spending. In the end, PlumbersStock has all you need for your HVAC needs; however, we also provide a wide range of plumbing supplies to ensure your home projects are completed as needed. If you need more help getting the best drywall access doors, or are looking for more information regarding our plumbing supplies, contact our customer service team for support. We will gladly help you find what you need.